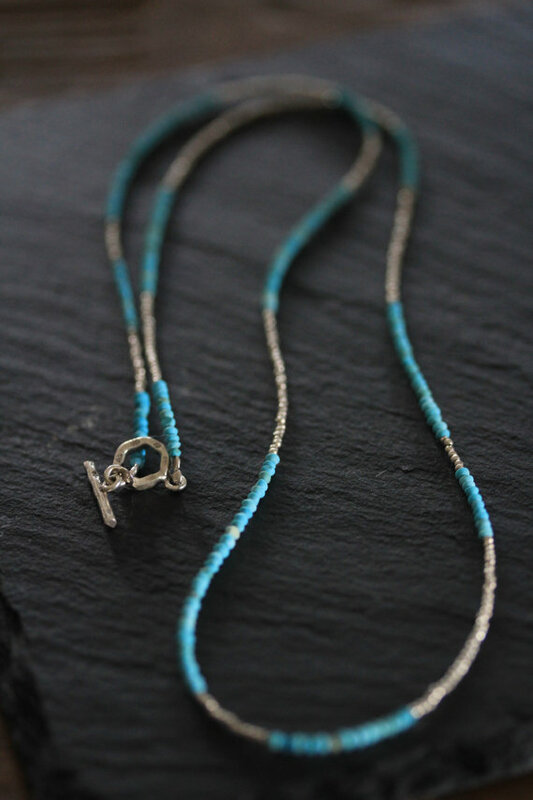 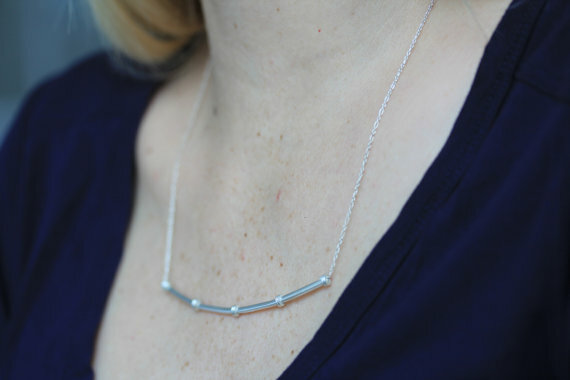 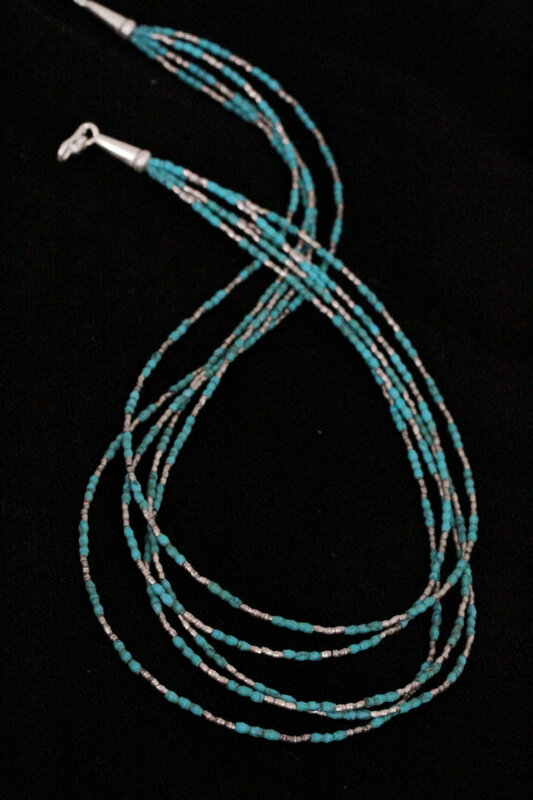 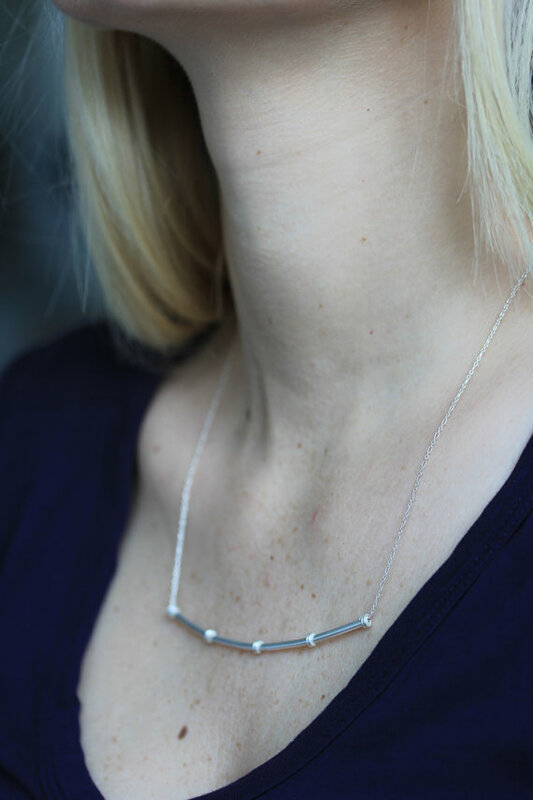 This necklace consists in handmade silver square-profile tube bead, textured on surface with various techniques before being folded into the final shape. 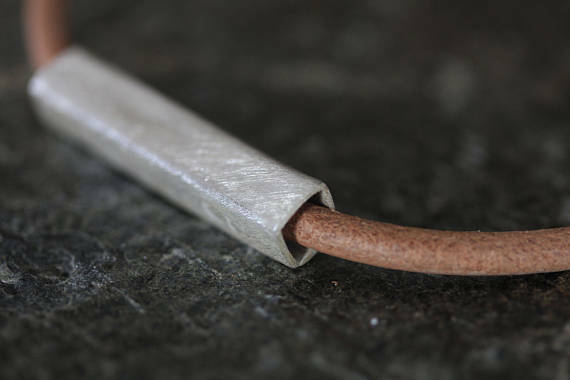 It is applied on a round-profile dark or light brown faux-leather string that closes with a simple handmade silver conical shape hook. 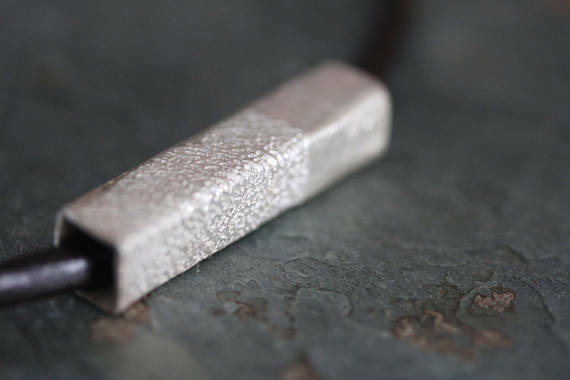 The silver tube piece was made of a 1.5 mm thick silver strip, that was passed into rolling mill together with sand paper so that it left a beautifully embossed texture on one side of the surface of silver. 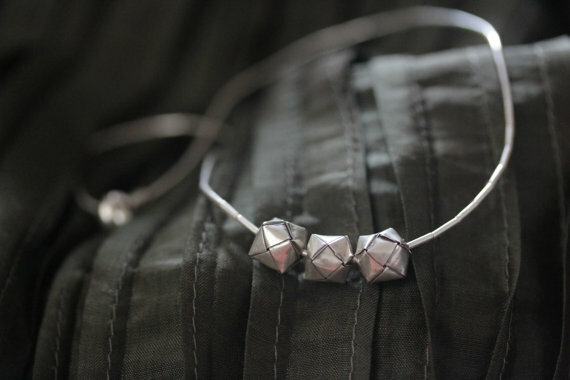 The other half was etched with the so-called “cat-fur” scratching technique, typical of the Thai Karen silversmiths. 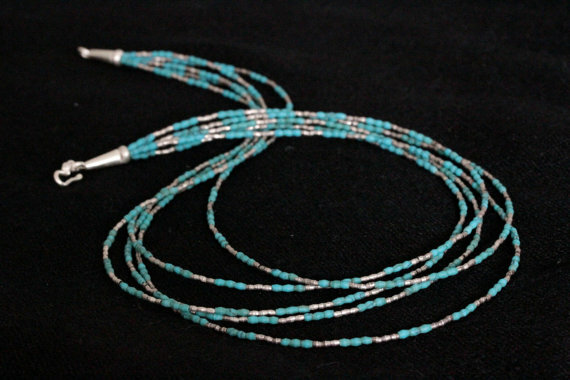 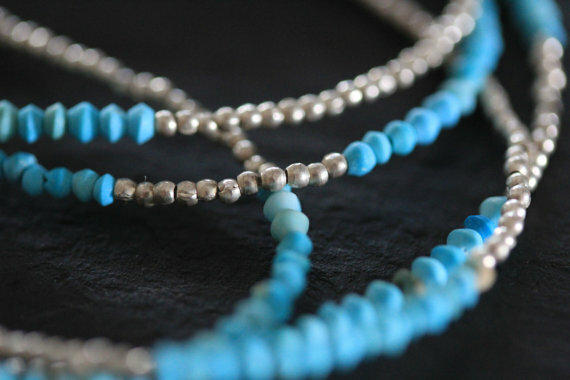 Our products are made of 95% silver; higher silver content contributes to a distinct look and feel of the product, unique to Karen hill tribe silver – it has a different feel, shine and bright satin color that contrasts beautifully with the dark leather necklace. 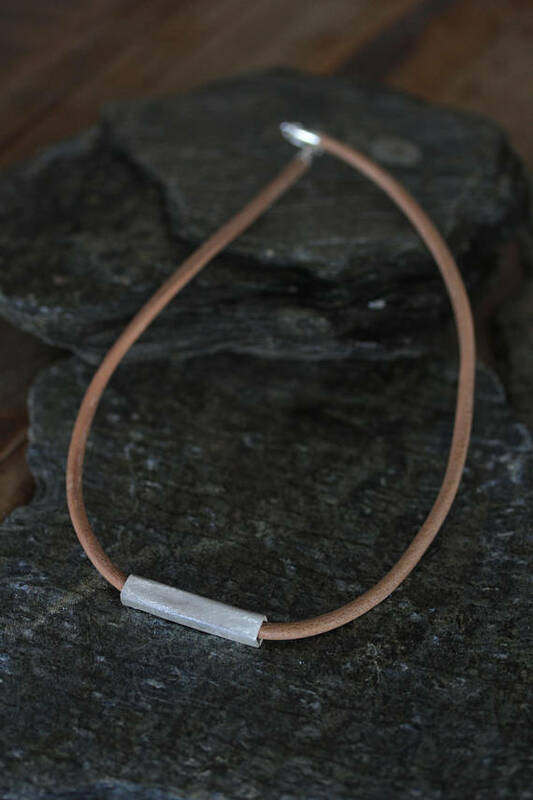 We also have a matching bracelet in our shop available in both dark or light leather color.